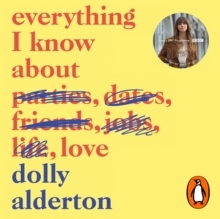 THE SUNDAY TIMES BESTSELLER WITH A NEW CHAPTER ON TURNING THIRTY*Winner of Autobiography of the Year at the National Book Awards 2018**Shortlisted for the Waterstones Book of the Year 2018*Award-winning journalist Dolly Alderton survived her twenties (just about) and in Everything I Know About Love, she gives an unflinching account of the bad dates and squalid flat-shares, the heartaches and humiliations, and most importantly, the unbreakable female friendships that helped her to hold it all together. Glittering with wit, heart and humour, this is a book to press into the hands of every woman who has ever been there or is about to find themselves taking that first step towards the rest of their lives. 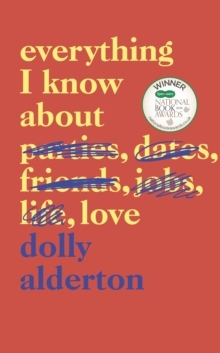 ***************'Alderton is Nora Ephron for the millennial generation' Elizabeth Day'Steeped in furiously funny accounts of one-night stands, ill-advised late-night taxi journeys up the M1, grubby flat-shares and the beauty of female friendships, as Alderton joyfully booze-cruises her way through her twenties' Metro'Deeply funny, sometimes shocking, and admirably open-hearted and optimistic' Daily Telegraph'The book we will thrust into our friends' hands . . . that will help heal a broken heart. Alderton's wise words can resonate with women of all ages. 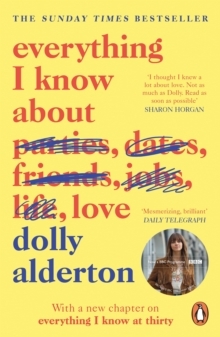 She feels like a best friend and your older sister all rolled into one and her pages wrap around you like a warm hug' Evening Standard'A sensitive, astute and funny account of growing up millennial' Observer'I loved its truth, self awareness, humour and most of all, its heart-spilling generosity' Sophie Dahl 'Alderton proves a razor-sharp observer of the shifting dynamics of long term female friendship' Mail on Sunday'It's so full of life and laughs - I gobbled up this book.